The addictive and lovable blue cat and his pink companion have gone on their honeymoon. Little does Sushi Cat 2 know, but his dream vacation is about to get abruptly interrupted. Help Sushi Cat out by guiding him to as much sushi as possible. Watch him grow fat as he eats more and more sushi along his way. Fill up his belly to win. 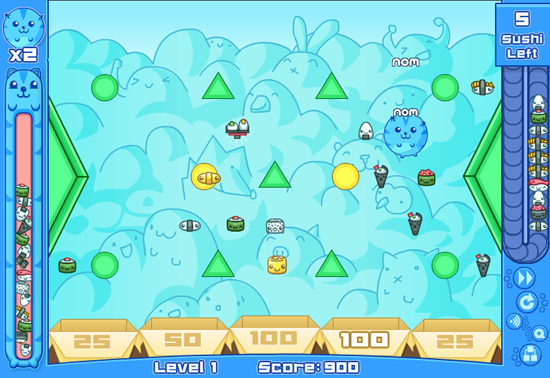 * The beloved Sushi Cat 2 game ( Link Download) looks and plays even better under the Retina graphics!